We're raising money for the website, courtesy of an anonymous supporter. 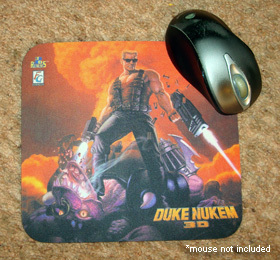 You can help our cause by sending in offers for the two items below, or by purchasing them for the advertised price. The deadline is May 6. A portion of the money will cover shipping costs for contests and free items we'll be giving out later. The rest will go back to our wonderful supporter who's making all this possible.﻿ Please make sure you read the listing descriptions on Ebay. 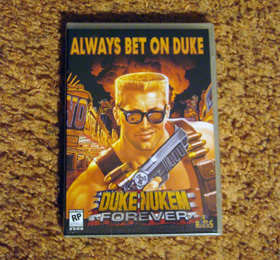 Duke4.net buyers will be inducted into our donors page and receive a bonus Duke Nukem Christmas greeting card.